Indian Motorcycle, America's first motorcycle company, is announcing its power-packed itinerary for the upcoming 75th annual Sturgis Motorcycle Rally. Started in 1938 by Indian Motorcycle dealer J.C. "Pappy" Hoel, close to 1 million attendees are expected this year in recognition of this important milestone for the Rally, which formally runs August 3 – 9 in Sturgis, South Dakota. Join Indian Motorcycle in celebration of all riders for this historic event that will feature the first appearance of the 2016 model year lineup, entertainment, factory demo rides, Indian Motorcycle owner events and rides, an array of custom bikes and much more. The celebration gets a jump start on Friday, July 31 at the Indian Motorcycle display area located on Lazelle St. Visit the Indian Motorcycle Sturgis event page for updates leading up to the rally. Explore the entire lineup of 2016 models at the Indian Motorcycle display in Downtown Sturgis. Several new customs will also be on display, including newly-revealed bikes from the "Scout Custom Series" including the Black Bullet Scout and the USO Tribute Scout built by Klock Werks, along with the 2014 Indian "Big Chief Custom," a new Chieftain custom from Azzkikr Custom Baggers, and more. In addition, a 1948 Chief commemorating the 75th anniversary will be rebuilt on-site by Starklite Cycle during the rally. A brand-new "torque pit," demonstrating the power and torque of the Indian Motorcycle line-up will run throughout each day, and an interactive timeline will highlight Indian Motorcycle's founding of the rally and its important place in motorcycling history. In celebration of Indian Motorcycle's roots at Sturgis, rally attendees can fuel up from 9 a.m. to 10 a.m. each day with complimentary coffee and donuts - a tradition started by Pearl Hoel, wife of rally founder "Pappy" Hoel. Attendees can also sign-up to win one of five limited edition Chiefs, get their photo taken on a custom Indian Scout Hill Climb bike, purchase Indian Motorcycle apparel, sign a commemorative rider map and more. Five limited edition Chief Classics will be given away during the rally. On Sunday and Thursday, the bikes will be raffled off live in the Lazelle St. space (visit location to learn exact time). These beautiful, Model Year 2016 Classics are available during the rally only, and will only be available to rally participants. Entries can be obtained with scan of Indian Motorcycle RFID badges at Indian events and locations during the rally; see the registration booth on Lazelle St. to get a badge. Join the Indian Motorcycle demo team and test ride the latest models fresh from the Spirit Lake, Iowa, plant. New Model Year 2016 motorcycles will be ready to demo ride all week long representing every variation and color and some fully accessorized. Demo ride availability is on a first-come, first-served basis. Rides will head out daily starting at 9:15 a.m. with the last ride leaving at 4:30 p.m. Riders must be 18 years of age and must provide proof of endorsement along with a helmet and appropriate riding attire. Passengers with protective gear are welcome to ride with no endorsement needed. Join Buzz Kanter and the editors of American Iron Magazine as they ride vintage and modern motorcycles to Sturgis. The ride will kick off at the acclaimed National Motorcycle Museum in Anamosa, Iowa, with a complimentary dinner on Thursday, July 30 and will conclude in Sturgis on Sunday, August 2. The ride route will explore backroads and celebrate both great heritage Indian bikes and modern models. The ride is free and open to all who are interested in joining, regardless of motorcycle manufacturer. -- NASCAR Vice Chairman Mike Helton and Rusty Wallace former driver of the #2 Cup series Car in NASCAR and now TV commentator, Monday, August 3, 11 a.m. – 11:30 a.m.
-- Jack Danielss Master Distiller Jeff Arnett, Monday, August 3, 3 p.m. – 4 p.m.
Sunday, August 2, 3:30 p.m.
Join us as we welcome a group of American heroes to America's motorcycle rally. The riders of the "Veterans Charity Ride to Sturgis," sponsored by Indian Motorcycle, will be concluding eight days on the road from Los Angeles to Sturgis riding across the country they helped defend on Indian motorcycles. These brave men and women from all branches of the military, some with multiple traumatic amputations, will arrive to a warm and patriotic welcome at the Indian Motorcycle display on Lazelle Street. Sunday, August 2, 9:50 p.m.
On Sunday night, a fired-up audience will get a chance to see the unveiling of a new custom-built GEICO Motorcycle — the GEICO custom Indian Chieftain built by Roland Sands Designs. The RSD team will reveal the bike on the Wolfman Jack Stage at the Legendary Sturgis Buffalo Chip. The night's entertainment will include: 38 Special, The Guess Who and Brantley Gilbert. Monday, August 3, 9 a.m. – 5 p.m.
Indian Motorcycle will honor and salute veterans and those who serve on "Military Monday" with a complimentary gift for those with a current or honorably discharged Military I.D. Visit the display on Lazelle St. for more information. As a benefit to Indian Motorcycle's military partner, The USO, and Victory Motorcycles' military partner, IAVA, riders using the complimentary parking behind the factory display on Lazelle St. throughout the week are encouraged to make a donation. 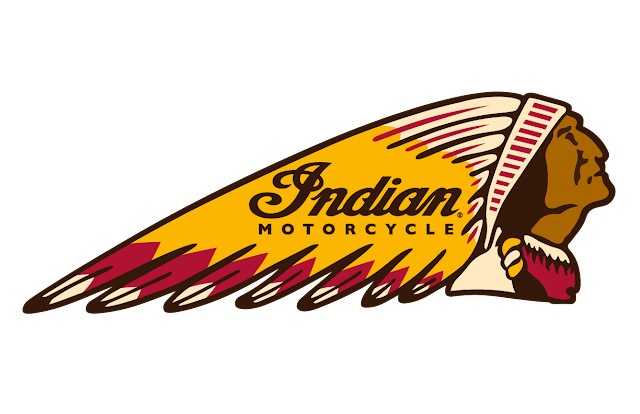 "Indian Motorcycle & Classic American Iron Rally"
Tuesday, August 4, Crossroads at the Buffalo Chip, 12 p.m. – 5 p.m.
Indian Motorcycle and American Iron Magazine are sponsoring a heritage motorcycle celebration at the Buffalo Chip. The event is free to attend and free to register any model year Indian bike or pre-1984 classic American motorcycle. Riders can check out dozens of historic machines from all brands, and will feature a bike show and contest. Class winners will be announced at 4 p.m.
Wednesday, August 5, 3:30 p.m. – 5 p.m.
Stop by the Indian Motorcycle display on Lazelle St. for an up close and personal autograph session with Mike Wolfe, star of "American Pickers" on HISTORY and avid Indian Motorcycle fan. --- On Tuesday, August 4 at 11:30 a.m. owners are invited to attend a complimentary Owners Lunch at Game Lodge Pavilion in Custer State Park. Pre-registration is required. --- Owners are also invited on Wednesday, August 5 to the Indian Motorcycle of Sturgis dealership for an owners-only open house and Wall of Death Show at 10:30 a.m.
--- Throughout Rally Week, owners will receive a commemorative gift when they present their key FOB at the dealership or the Indian exhibit on Lazelle St.
--- IMRG members can also show their membership card for an additional gift. Visit the Indian Motorcycle of Sturgis dealership's recently opened 22,000-square-foot showroom. The American Motor Drome Wall of Death, featuring the custom 2015 Wall of Death Scout, will be at the dealership with shows each hour starting at 11 a.m., courtesy of Indian Motorcycle. The showroom offers an expanded parts and customization department as well as additional service bays. The dealership is giving away limited edition prizes and will have commemorative 75th anniversary items for sale. For more information please visit: www.indianmotorcyclesturgis.com. "We promise a jam-packed week of activity for this rally, and we're going to deliver," said Steve Menneto, vice president of motorcycles at Polaris Industries. "We look forward to visiting with our friends and riders at the displays and celebrating the Diamond Anniversary of Pappy Hoel's little get-together that, through the years, has turned into the biggest motorcycle rally in the world." ABOUT INDIAN MOTORCYCLE Indian Motorcycle, a wholly-owned subsidiary of Polaris Industries Inc. (NYSE: PII), is America's first motorcycle company. Founded in 1901, Indian Motorcycle has won the hearts of motorcyclists around the world and earned distinction as one of America's most legendary and iconic brands through unrivaled racing dominance, engineering prowess and countless innovations and industry firsts. Today that heritage and passion is reignited under new brand stewardship.